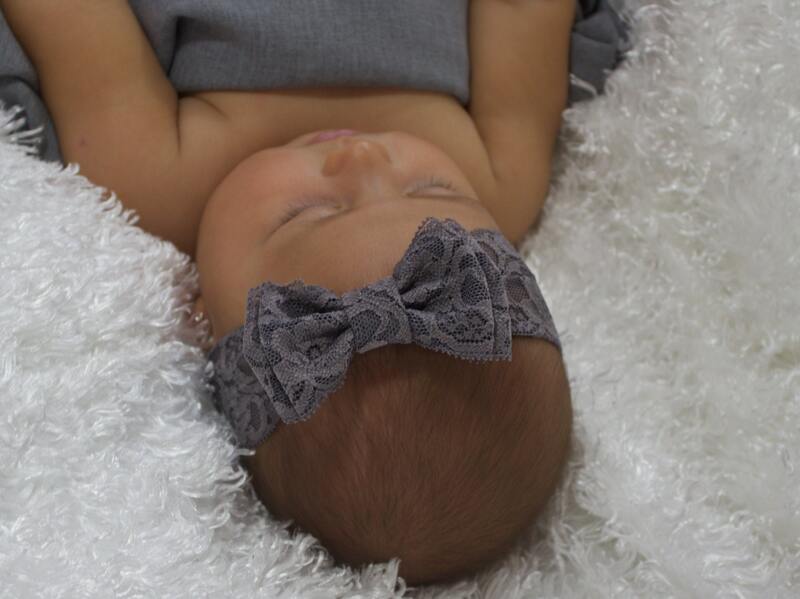 This Dazzling Gray Lace Bow Headband is 2" wide and features a 3" bow. Just perfect for any age! 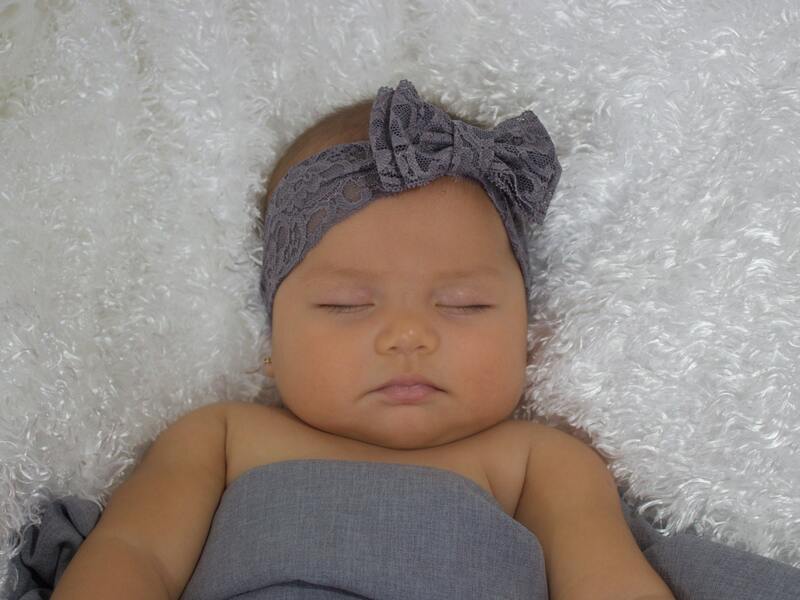 It is made of gray stretch lace for a perfect fit. Awesome product, I love it!